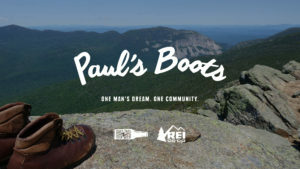 Join Ascend for a movie night fundraiser screening of “Paul’s Boots,” a beautiful, true story of a man who dreamed of hiking the Appalachian Trail. In the midst of his preparations, Paul died. His bereaved wife, M’Lynn, was inspired to seek the assistance of some hikers planning to trek the 2,190 miles, crossing 14 states ranging from Georgia to Maine, asking them to carry Paul’s boots the length of the trail. “Paul’s Boots” will be shown at 6:30 p.m. Friday, April 14, at the Trinity Alps Performing Arts Center in Weaverville. There is no cost to attend, however all donations will go to Ascend Wilderness Experience and will fund local youth participating in five-day backpack trips into the Trinity Alps Wilderness this summer. Bake sale and beverage items will also be available for purchase to fund Ascend Wilderness Experience.